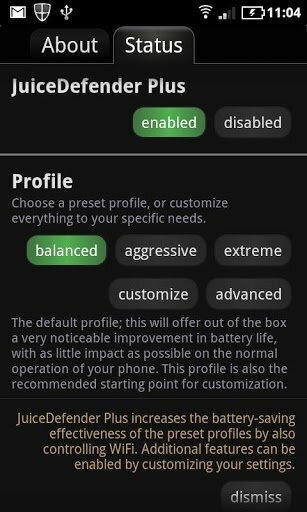 To save battery power on an Android phone all you need is the right application. 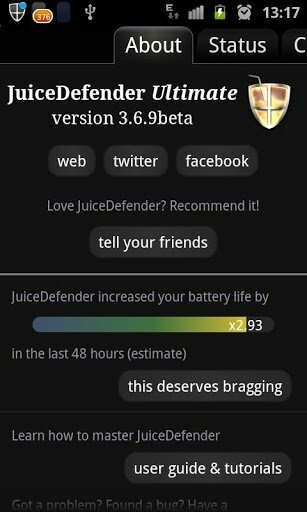 Don't hesitate to download JuiceDefender and you will get more out of your smartphone's battery life. One of the biggest drawbacks of the latest generation of mobile phones is that they consume a great deal of battery power. For this reason, it's advisable to use applications like JuiceDefender Battery Saver, as it will help to manage the most power-hungry functions of your phone in an intelligent way. Five predefined energy-saving profiles that can be totally customized. Widgets for the main screen. Option to automate connectivity functions according to time, location and other parameters. 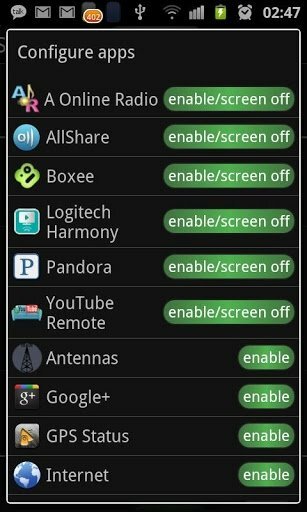 Adjust CPU to phone activity. Brightness control of the screen. The fact that your phone is continuously searching for 3G or Wi-Fi coverage reduces battery life considerably. 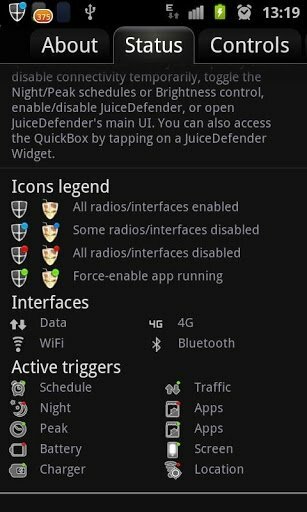 JuiceDefender keeps your phone's connectivity under control, so that it is only used when you really need it. 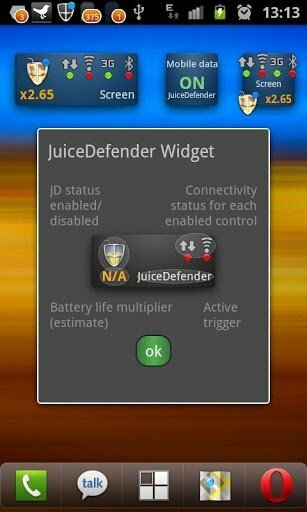 Download JuiceDefender and save energy on your phone.